The mexican male listened contently to the explanation the Alpha Male explained about the ranks. When the male was done explaining, Kendrick began scrambling around his mind thinking of the ranks. He was more interested in the rank Wache, then Seimoor. "Hmm I like to earn the rank Wache please, if you don't mind?" asked Ken his gaze fixed back to the Alpha. 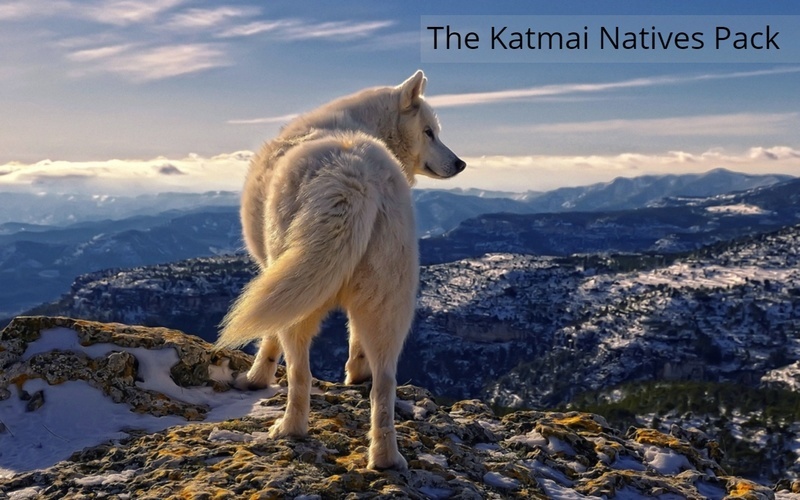 He then remembered hearing the words Katmai, "So thats the name of the mountain, Katmai.." thought Ken, once again zoning out in his own mind. The Doyen grinned at Kendrick's curiosity. "You do seem quite eager to learn of this rank, do you not?" Siren stifled another chuckle before rising once more to his weary paws. He looked over the newcomer for a few moments, nodding as he did. "You've got the perfect build for the Wache rank. You're subtle yet strong." Blinking, Siren led his gaze back to the brute's orbs. Kendrick smiled towards the male," Well it's kinda my first time in a pack, so I would like to um.. learn all I can." Ken stayed his ground when Siren rose from the ground. "You've got the perfect build for the Wache rank. You're subtle yet strong." Ken emerald pools flickered towards the words, he circled around trying hard to look at himself, returning his attention back to the male he said," Really? That's ... Awesome!" He gave the male a smirk and looked over to the two femmes who seemed to be minding there business. Sharon heard Ken and the alpha, which apparently, his name was Siren, talking about ranks and other things for joining. Trying not to eavesdrop their conversation, she walked away, trying to figure out what she should do next. Since she already ate a dead small mouse nearby, she decided to just hang around and check out the plants that were growing here. They seemed interesting, she'd never seen them before. She sniffed the plants and area, as she walked around the territory. Siren nodded his massive head, the thick fur along his nape fluffing a bit. He quite liked the company of Kendrick, the newcomer, and found her had the certain perks a Wache should have. "Keep it up and it won't be long until you'll actually be one." 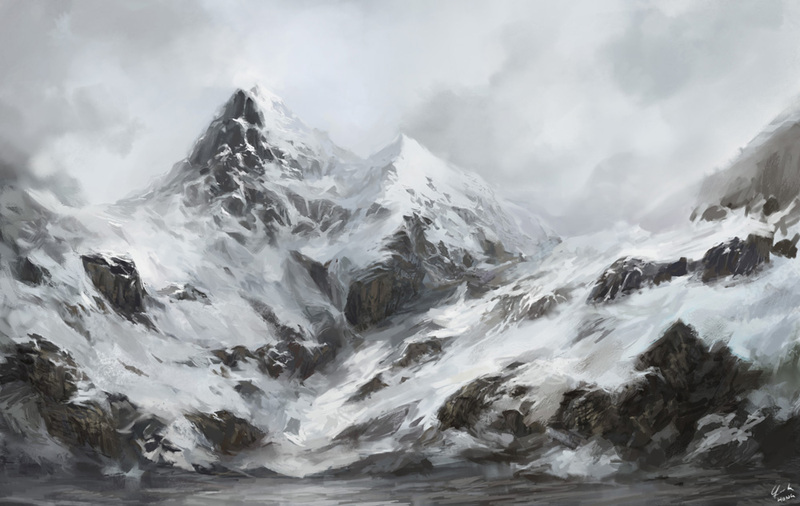 The male nodded towards the distance, the mountains folded out before them. "If you'd like, you can take a look around. I'll be right here." Siren pressed his paws onto the frozen terrain, nodding to the newcomer. Sharon wondered about the strange names she heard as'ranks'. She shrugged, after all, she was hoping to get along with this pack. The other newcomer, Kendrick, or Ken, seemed like he was getting to know Siren, the alpha more. She was glad she could be a part of it. She turned towards the males, smiling, and went on observing the plants, in the white-covered ground. She also noticed Siren's glowing eyes, which she'd also never seen before. She heard him talk about it with Ken, and thought it was new and different. 'I wonder what occasions will happen here,...' she shrugged once more and kept going. Kendrick nodded to the male and bowed respectedly to the Alpha. He rotated himself, his attention no longer facing the males gaze, he saw Sharon observing around. Curiousity striking him, he decided to go chat with her a bit before wandering around. Slowly padding over to her he said," Hey Sharon." A little smile appeared on his maw, as he waited for her to respond. Sharon quickly looked up to see Ken. She smiled and said "Oh, hi, Kendrick. So, I heard about you becoming a wache, I also think it would fit you..." Sharon replied with a bright smile. "Have you been or going to any new territory? This seems like a great pack, don't you think?" she hoped she wasn't talking too much. She was actually surprised herself that she talked to another wolf that she met only this day. She shook off the thought and looked at Ken, waiting for his reply. Kendrick patiently listen to the female speak. He chuckled lightly when she started rambling, when she was done he looked at her and returned a smile. "Oh, hi, Kendrick. So, I heard about you becoming a wache, I also think it would fit you..." His eyes brighten once again and he said," Really! That's actually the rank I'm most interested in, and I'm glad to hear that I'm fit for it." "Have you been or going to any new territory? This seems like a great pack, don't you think?" He stared at her with a confuse expression on his face as she spoke the first question, but he shook it off and tried his best to answer," Well I was um about to wander to another territory to check around, but I decided to chat with you for a little bit. Yeah, I like this pack alot, the Alpha's seem really kind and they know what there doing." He looked down at the flower she was observing, then glanced over his shoulder, a smile curled on his lips again he glanced back at Sharon and said," So uh are you going to speak with the Alpha about your rank?" Sharon grinned when he started talking about his rank, territories, but was a little surprised at the question about her rank. She almost blushed, when he started about her rank, and when he smiled. She wasn't sure when or how to talk or ask the alpha about her rank. She was never too fond of wolves when it was the first day. "Well, I'm not sure yet, I guess I'll just hang around some more, but I really have a feeling for...for a healer, or someone who's quiet but has knowledge, and can help out. I see these plants are really different from what I was used to..." without wanting to make him stay so long, she shrugged and smiled. "Thanks for checking by Ken." Kendrick kept an eye on Sharon watching her expression closely. Noticing her blushing about him asking about her rank, he couldn't help but grin. "Well, I'm not sure yet, I guess I'll just hang around some more, but I really have a feeling for...for a healer, or someone who's quiet but has knowledge, and can help out. I see these plants are really different from what I was used to..." His tassels swayed slowly behind him and he barked," Awesome a healer! Were gonna need someone important like you around." He glanced at the flower and tilted his head, Ken didn't have any experience on herbs, so he didn't know what to expect from it, but seeing Sharon talk about he knew she must know alot about the Arts of Healing. "Thanks for checking by Ken." He gave her a confident smile and said," No problem, and Good luck." With that last sentence he padded to a slightly showned path and followed it. Sharon smiled when Ken said "we'll need someone important like you around! " "Thanks, I'll talk to Siren sometime, thanks and I guess see you around!" she replied. 'Ok, now let's get on with business.' she started to study the plants more closely, trying to memorize where each plant was, so she could come back later for it. She padded on, looking at each plant. Amber had been walking for miles now, her paws had become soggy and dark, covered in muckish snow. If Amber was going to clean herself off, she was going to have to face a problem of freezing to death. She tried to shake off as much as she could, but had little luck. Her tongue stuck out as she continued on. Heavy pants escaped from her muzzle, giving a foggy outlet. Amber sniffed the air, something seemed off about her new setting. It was a bowl like crevice in a mountain. Large and a potential den site for a savage pack of wolves, Amber huffed and sat down. Questions were rolling around in her mind. "Should I stay, or should I go? Could be safe, but what if they want to kill me on the spot? Ohh" Amber growled. She layed down in a patch and snow and rolled around. She got the muck off, but still looked ragged as ever. Sharon walked back from the Snowberry Garden, and saw a dirty, ragged wolf, cleaning herself up. Assuming she was a new stranger, trying to join the pack, she tried to greet her. "Um, hi. You must be, not from around here. Why don't you get yourself cleaned first, and if you are looking for a pack to join, this pack is a wonderful one, I bet you will like it. First, if you want, we could bring you to the alpha, or the alphaess, Siren, or Macy. Sharon smiled to show she was safe around these territory. 'I wonder if Ken, and Siren is still at the garden.' and she sat down, waiting for the stranger's answer. Amber had her eyes lowered and drooping. She was ready to eat something, and her pelt was frustrating her. She sighed, letting her head hang low. Her amber eyes were scanning the frozen ground, interested in the terrain. Even though Amber was used to these conditions, it always seemed to interest her. Her muzzle dipped down to sniff the ground. She caught a scent of a female wolf approaching fast. Before Amber could lift her head, a voice came out to her. Amber yelped and plunged into the air. She tried to get traction on the slippery, ice-covered ground, but fell. Feeling like things couldn't get any worse, Amber turned to face the new wolf. The words spoken about her getting cleaned up was a slight insult, and she growled to herself. Although, the remark was true. Amber lowered her head, grateful that the she-wolf hadn't ripped her open yet. Amber grabbed some snow and used it to clean herself off. Having a better appearance, Amber decided to speak. "I am Amber, and thank you...for being kind to me. I was looking for a pack to join, and I came from the south." Amber nipped, she felt like she already shared too much, but this wolf was inviting her into the pack somewhat. Sharon smiled to Amber, and tried to greet her into the pack. She felt uncomfortable telling her to clean up, but it was already done. "Well, you can speak to the alpha. If you want to speak with him, you can follow me. Oh, and of course, we love newcomers who want to join." She smiled and waited for Amber's reply about the joining. She hope she was interested. Amber hoped the she-wolf was satisfied, and then the mention of joining the pack struck Amber's ears. She shot up and started wagging her tail. She was wagging so ferociously, you'd think it was about to fly off. 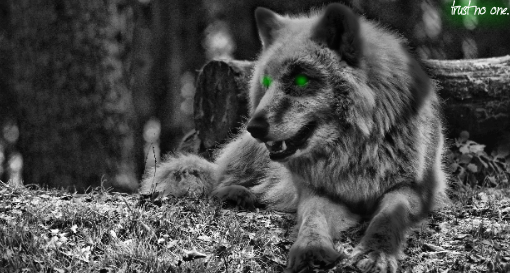 Amber smiled and walked closer to the she-wolf. "I would be absolutely delighted to join your pack! If I could speak to the alpha that would be just wonderful, just splendid! Oh, I can't wait!" Amber barked. She was so excited, for two weeks, she was travelling as a rogue, and it was awful. But now, she was invited to speak to an alpha of a pack. Her day was becoming a great event for the dark brown wolf. Sharon gladly smiled and started to lead Amber towards the Snowberry Garden. "Come on, Siren should be near the Snowberry Garden. I bet he will be glad to receive you into our pack." She started. "Also, you might want to speak with the alpha about your rank, but you still have plenty of time to experience the pack." Sharon was glad Amber looked excited to join the pack. Amber smiled and started wagging her tail again. The garden seemed like it was going to be a special place. Amber, at that moment, felt like she was ready to become best friends with everyone she met. Her pads smacked the frozen ground as she kept up with Sharon, it always made Amber feel queer to meet an actual alpha, but she always got over it. She wanted something easy, simple, yet something to help the pack out as her rank. The brown wolf sniffed the ground every chance she got, and enjoyed the wonderful new smells. It was always exciting to experience new things. But, Amber always grew attached to the first person who truly accepted her, she might change her mind later on, but for now, Sharon was Amber's protecter. It wouldn't stay like this for long, since Amber just got her. "Is the alpha and alphaess scary? Or are they nice? What are they like?" Amber spoke up. It was hard once she started speaking, since she hadn't relized how quiet it was. I lift my muzzle and sniff the air around me. New scents flood my nostrils and the scents of new and unknown wolves start to get to me. The liquid around my neck that is the deep purple jumps a little as I trot a little bit deeper into the land. My paws swiftly motioning with my body as if the shadows of my surroundings were following my steps. My eyes narrow to a snap beside me. I crouch and let a small snarl slip through my maw. The sound of my snarl could be barely heard. My eyes follow all the movement that was around the snap and then a hare jumps over the small plot of land. I ignore it now that I knew it was a hare. My ears perk to quiet voices. I lower myself and almost crawl to the sounds, getting closer to the voices I also near the wolf scents. The mysterious liquid stops jolting with a clink once I stop moving to listen and smell the air again. Sharon padded back near the den. Suddenly, she saw another wolf, and trotted up to the wolf. "Hey, my name is Sharon, are you interested in joining the pack?" she felt a little strange, but the pack would be growing fast, and one wolf would make a difference. She smiled and waited for the wolf's answer. I peer to the new wolf in front of me and smile a dark smile. "I'm Veleno, She-Wolf." I start to stare into the direction where the other She-Wolf came from. I look up to the sky and back to the wolf. "Sure. I'll join your pack." I say to her in a hush voice. I take a breath and stand up, ready to follow her at anytime. My smile fades as my eyes blink slightly. My facial markings seem to react to my expression. I start to lighten up after a minute and smile a brighter smile to the wolf named Sharon. Sharon smiled and nodded. "Sure, if you want to meet the alpha, and other wolves, they are at the garden, come follow me." She headed towards the garden once more. She was glad she was helping out though. Macy stood slowly in the deep snow. It was still fresh and some of it had yet to be disturbed. He jaws opened wide and her eyes scanned the undisturbed terrain. Where was everyone? The calm canid didn't care and continued on her daily chores. She would climb halfway of the mountain, yet not too high to ensure she dind't fall, and check the surrounding area. He could not determine where the tawny male had strayed, but soon after the brute had arrived he began to hear Kendrick's pawsteps engraving temporarily in the ice. With a gruff woof, the brute waved his nape, shaking out the few snowflakes that had weaved their way into his coat. "I wonder where the females are?" The brute inquired, swiveling his ears to the lone mountain.